Air release valves are an important addition to your irrigation system. They play an integral role in water transfer by ensuring efficient air release for optimum pipeline performance. 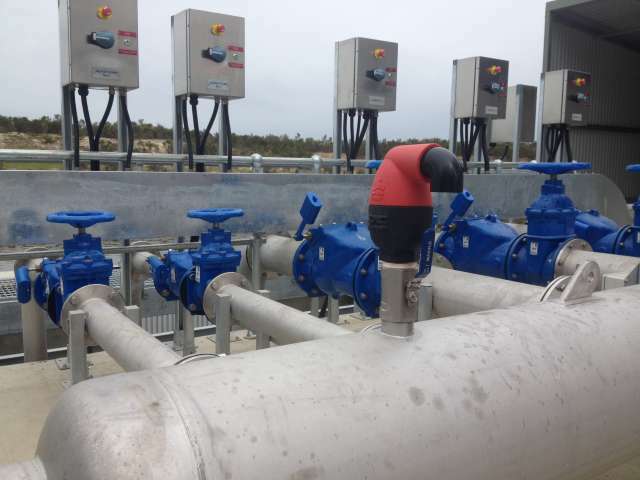 Maintaining your air release valves supports their role within your pipeline. Over time, anything that floats within the water pipeline can enter the air release valve. This may include dirt, foreign objects or debris that can cause the valve to potentially leak. It is critical that valves remain in good working order, and are not isolated from the pipeline. The Bermad C10 air release valves are high performing and are very simple to service – this article outlines the operational steps to maintaining the valve. Prior to any isolation or operation of the air release valves, it is important to understand how air release valves operate and to know what is regular and irregular performance. In many instances during pipe filling or pump station start up, you may observe a small discharge of water until the float seals correctly. Under general conditions, this is normal and should not be considered a fault within the system. To fully understand the operation of your Bermad C10 air release valve, we recommended watching an animation of the valve to see how and why it works. Watch the animation on the Bermad YouTube Channel. We suggest the following procedure should be used to clean and service the Bermad C10 valve. Isolate the air valve by closing the inlet ball / gate valve. If there is no isolation valve, then drain the pipeline below the elevation of the air valve. De-pressurise the valve carefully by removing the drain plug on the side of the valve. Remove the cover and expose the inner float assembly of the valve. Check the inner cover for dirt, debris or poly-shavings. Expose the inner seal of the valve to make sure there is no dirt under the rubber seal. Clean the upper seal to make sure there is no dirt around the rubber. If there is any damage to the seals, you can replace them with a service kit available from Bermad. Re-assemble the valve and the drain plug, and slowly open the isolation valve. If IP or SP kits are fitted, inspect the rubber membrane for dirt or debris prior to reassembly. Bermad has prepared a video presentation that demonstrates exactly how to maintain and service the C10 air release valve. Whether you’re undergoing training, or out on the field, watch the video below for a comprehensive look at how to clean the Bermad C10 valve. Should you require the Bermad C10’s operation manual or data sheets, visit our product page or get in touch with your local Bermad office today.